Timeframe: Once we get your info, we’re usually able to make you a fair cash offer within 24-48 hours. You supply the note documentation . We can normally close within 21 days. 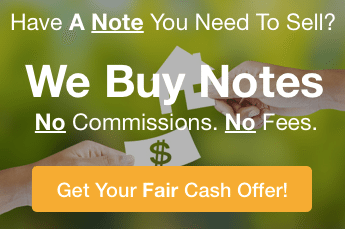 American Funding Group is a private mortgage note buyer and we buy notes across the U.S. We’re not a note broker… we’re actually the ones buying your note. If you’re looking for someone who has creative options… some of which may be able to get you close to the full face value of the note… rather than someone who is just going to throw you a low-ball offer, connect with us and lets chat. Give us a call at (772) 232-2383 to talk about your note and the options you have and how much we can pay you for your real estate note. Don’t worry whether the note is performing… or if it’s an “ugly” note with a borrower who is a mess. Over 25 years, We’ve able to buy notes that many note holders thought were a lost cause. We are experts in restructuring notes to create the most value for the note seller. So, give us a try! No Obligation and No Hassle at all.